Lithography is one of the greatest artistic developments of the 19th century. Literally translated as “writing on stone”, lithography allowed the duplication of drawings and texts. Adding color nuances required the careful, intricate use of the fingertips. The popularity of lithography spread as fast as its diverse developed sub-categories and enabled artists to reproduce their artworks. This caricature of King Louis-Philippe appeared in the French magazine “La Caricature” in 1831. 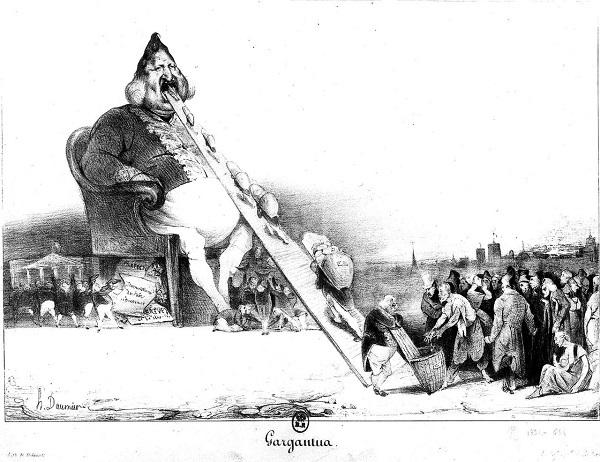 Honoré Daumier, in his lithograph, depicts the King in the form of the giant Gargantua from the novel Rabelais, to whom the work owes its name. Daumier drew the head of his Gargantua as a well-formed pear with an infinitely long tongue, which conveyed the money of the people directly to its core. The German expressionist painter and graphic artist took inspiration from the experiences in the First World War on the front of Russia. A 15 month imprisonment in England brought him in contact with other artists. 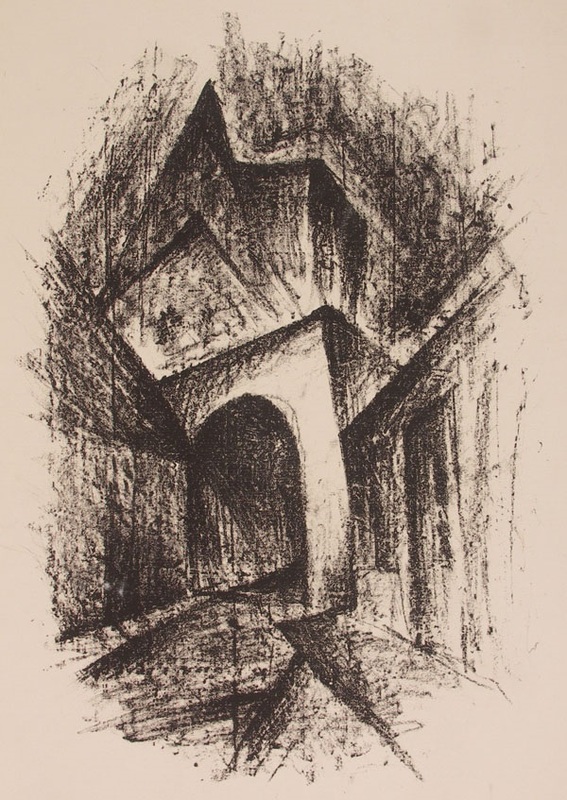 Back in Germany he founded the artists’ association “Der Fels” with two other artists and fellow prisoners of the prison camp. Through the contact to an artist living in Passau, Fritz Fuhrken quickly became enthusiastic about the charming city and made it the motif of several litopraph series. Odilon Redon made a name for himself as a graphic artist and came to the lithograph in 1878, which he used skilfully to print his drawings in series. He was also very well-read, and with the inspiration of Zola and Victor Hugo, he literally devoted himself to the dark side of life. The series “Noirs” is the theme of fear and oppression in a variety of facets. 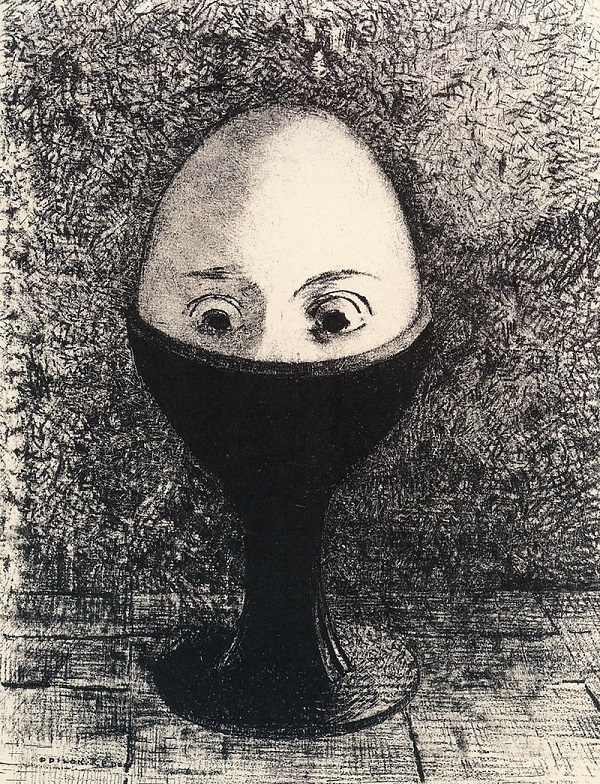 This is how the “L’oeuf” lithography, which shows an egg with a face in its narrow egg cup, illustrates a space constraint dream. He liked to combine animals and objects with illustrated personification into a rather gloomy context. A lithograph disappears in a gallery in Oslo and reappears 6 years later – “Historien” wrote art history, even during his own absence! Edvard Munch made a name for himself not only as a painter, but also as a graphic artist and came into contact with the lithography in Berlin for the first time. After his death, this work was exhibited at the Munch Museum in Oslo and was stolen through this exhibition but has been found seven years later.